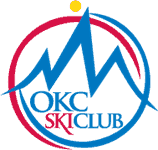 Club membership in Oklahoma City Ski Club is required for trip sign-up and participation. Membership dues are nonrefundable and are not prorated. Bus Trips–Reservations for bus trips are made by sending a check for $100.00 per person deposit along with a completed and signed Trip Application to the Trip Captain. Air Trips–Reservations for Fly-in trips (airfare not included in price listed) are made by sending a check for $50.00 per person deposit along with completed and signed Trip Application Card to the Trip Captain. Reservations for Fly-In trips (airfare included in cost) are made by sending a check for $200.00 per person deposit along with completed Trip Application to the Trip Captain. Full Advance Ticket Purchase Plan is advisable to lock in prices. Club policy for cancellation will be the same for air trips as for bus trips as well as any and all cancellation fees charged by the airlines, which shall be the members’ responsibility. All checks made out to Oklahoma City Ski Club.Cash, check, and Master Card/Visa will be accepted for trip payment and deposits. Full payment for bus trips must be made 45 days prior to departure; full payment for air trips is 70 days prior to departure. Reservations and bunk assignments are based on order of sign-up, paid in full have first priority. All buses will be Non-Smoking. If the Club finds it necessary to cancel a trip due to poor snow conditions or other conditions, there may be a minimal cancellation fee, based upon actual cost to the Club and prorated among passengers. Waiting lists will be kept by Trip Captain for all full trips and will be on a first come, first served basis. A deposit check and completed Trip Application card will be held by the Trip Captain until member is notified and can be moved to the “Go” list. Thereafter all Club cancellation policies prevail. No one-way or half fare passengers will be accepted. Full deposit is required for all. No special arrangements or price concessions will be made for drive-ins until bus trip is full, unless approved by the executive committee. Deposits can only be transferred from one trip to another if the Club cancels the trip or the Executive Committee approves the transfer. There is no transfer fee if the Club cancels the trip. There will be a transfer fee equal to ½ of the cancellation fee, as determined by the length of time until the trip. 11. No children under 3 accepted on trips. Children under 18 must be accompanied by a member parent or guardian. Children under 18 will be accepted on trips at Trip Captain’s discretion. Any check or credit card on which payment is stopped to avoid loss due to trip cancellation by a member will automatically result in loss of Club membership. Reinstatement will be only after the Club is reimbursed for monetary loss and by approval of Executive Committee. There will be a $15.00 charge for insufficient fund checks. Those individuals causing property damage, at any Club function, or at the lodges, condos, or on buses, etc. shall bear full legal and financial responsibility for damages.If individual responsibility cannot be ascertained, cost of damages will be pro-rated among participants and/or trip passengers. Group rates for lodging, lift tickets, ski school and rental equipment will be obtained when available and possible. The Club, its directors, officers and trip captains, are not responsible and shall not be held liable for bodily injury, death, property damage, loss of personal property, delays or inconveniences sustained by any member or participant in any activity or on any trip arranged for in whole or in part by the Club. It is a condition of membership in the Club that any individual shall be deemed to have accepted as consideration this limitation of liability by joining the Club and/or attending such an activity. Occasional delays in planned schedules due to weather or mechanical failure are inevitable and trip participants should plan their trips to allow for this possibility. Any time the bus stops en route, passengers leaving the bus do so at their own risk. The Club provides soft drinks, ice, water and cups on all buses as well as box suppers on designated trips home. CODE OF ETHICS: Club members will conduct themselves in a mature manner at all times. Offensive conduct is NOT acceptable. It is considered a discredit to the Club and will not be tolerated. Possession or illegal usage of narcotics or all other controlled or illicit substances (possession by legally written prescription is excluded) are expressly forbidden on any Club trip or at any Club sponsored function. Trip Captains and/or Officers, who deem the offending participant to jeopardize the well being and safety of others, may remove the individual from further participation in activity or trip, such as, but not limited to, removal from the premises or from the bus. If offender does not comply with request, proper law enforcement officers will be called. Offending individual(s) will forfeit all monies paid and permanent loss of Club membership. Trip Captain is final authority on and during trips.